It seems that nothing gets locals quite as excited as what shops and services are opening and closing in West Hampstead. Some of the biggest stories of 2013 revolved around supermarkets: Waitrose trying to move in, Tesco failing to keep its shelves stocked, and the under-the-radar news that Marks & Spencer is Ballymore’s anchor commercial tenant for West Hampstead Square. Back in March, Kensal Rise’s Minkies finally opened its microshop at the Overground station. After an initial flurry of interest, it’s now rarely mentioned online. Highish prices and proximity to Costa and Starbucks mean it’s always going to have to fight hard to compete. In May, children’s clothes shop Blue Daisy closed. It argued that the arrival of competitor JoJo Maman Bébé had nothing to do with it, and that footfall wasn’t sufficient. It still operates in South End Green. LoveFood eventually closed in the spring, which also meant the temporary demise of its basement tenant La Secret Boutique. 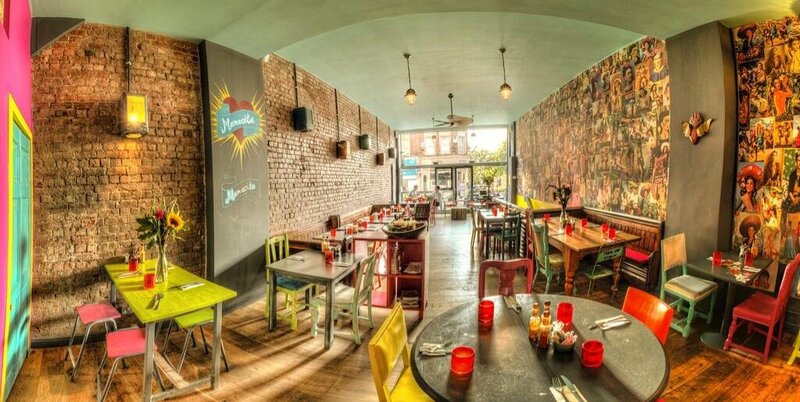 The whole business was snapped up quickly by a local couple who already run a popular café in Shepherds Bush. Rather than replicate that and go head-to-head with West Hampstead’s other cafés, they decided to give the people what they wanted and open a Mexican restaurant. In a salutary lesson, Mamacita went big on social media, initially under the name “@secretwhamp”. However, it wasn’t prepared for the blowback when early staffing issues led to some disappointed customers who were only too ready to voice their views. Secret Boutique disappeared for a while before popping up on Fortune Green Road and then just before Christmas moving into permanent new premises on West End Lane where Shaketastic had been. Almost all the businesses demolished by West Hampstead Square managed to get new premises. Peppercorns moved further north up West End Lane to a much larger shop, where its niche offering should benefit them when Waitrose moves in. Rock Men’s Salon had already secured a unit on Broadhurst Gardens, and it continues to thrive. In a fantastic stroke of luck, Games Exchange, the dodgy-looking operation next to Rock on Broadhurst, closed after bailiffs moved in. This paved the way for Wired – the pop-up coffee shop co-owned by Rock’s John Padalino – to re-emerge as a permanent operation right next door. Despite almost no marketing and a fairly small interior, Wired is now busy most of the time with coffee devotees. Talking of hair salons… Chez Chantal, the French-style patisserie with an owner who rubbed some people up the wrong way, closed in April. It’s been a surprise that it stayed empty for so long given its prime location, but we learned recently that salon chain Headmasters is moving in and is due to open in the New Year. The incongruously named Geezers re-emerged as Esquire Grooming, run by two emigrees from The Men’s Lounge. On Fortune Green Road, The Groom Room appeared. Helena’s Hair Care opened in West End Lane (it had previously been on Fortune Green), offering Funmi hair extensions. It’s a big space and the place rarely looks busy, so will be interesting to see if it can survive. Me Love Sushi closed and is still empty, although I’ve heard rumours of an American-style smokehouse opening there. A lot of businesses have looked at it and deemed the rent too high. There is a popular view that Pizza Express should move in there after it’s kicked out by Waitrose, but the company has not commented on this. On Broadhurst Gardens, Vivi Nails became Be Lush, Old Bridge, the eastern European deli closed, and Italian restaurant Spiga followed suit this month. The latter will reopen as some sort of Thai/pan-Asian restaurant. Which is also what Tomai will be. Tomai is opening where Grilled O Fried was and is run by the owners of Guglee. The Guglee boys are also looking at a Baker Street expansion of their modern Indian restaurant – having cemented themselves in West Hampstead in what’s been a challenging year, lets hope that two new operations to add to the two they already have isn’t going to stretch them too far too quickly. 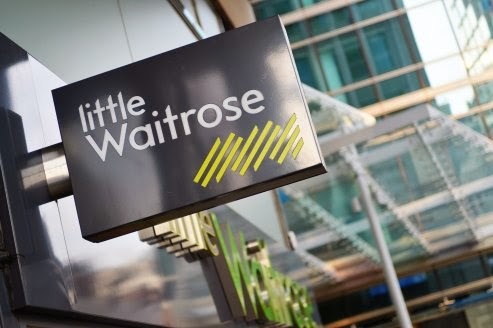 Waitrose submitted its plans to open a “Little Waitrose” on the Pizza Express site on West End Lane. Reaction was generally positive, although many hoped Pizza Express would stay in the area given its popularity with young families. Waitrose, alert to the issues of delivery vehicles, went to considerable lengths to address this issue, although planning permission has not yet been granted. It does require a change of use permission and I understand that the owner of the building lives in one of the flats above and is not keen, so negotiations with him may take some time. The majority of locals are welcoming the arrival of the more upmarket Waitrose, though some are decrying yet another supermarket – not that there are many independent food shops left in West Hampstead for Waitrose to obliterate. The three businesses perhaps most at risk are Brooksby Wines, which will have to work out how to differentiate itself (and communicate that to customers), Peppercorns, which should be niche enough not to suffer, and the Tesco Metro in Fortune Green. For people who walk up to Fortune Green from the train stations, stopping off in Waitrose may be far more appealing that doing battle with the Tesco. Throw in the problems that this Tesco branch has had recently with empty shelves and a messy street environment and one wonders whether Waitrose might actually kill it off. Finally, in an unusually understated announcement that seems only to have appeared in a “highligts of the year” e-mail sent to its mailing list, Ballymore has revealed that Marks & Spencer will be its anchor tenant in West Hampstead Square when it opens. This is not surprising, and will probably be welcomed by the population south of the train lines who don’t want to go to the O2 for a quick shop. Whether all three of the convenience stores by the tube station can survive is another matter – but this is a story for 2015. Babur Empire on Mill Lane reopened as Spice Tree. Over in Kilburn, Powers bar closed and is to become “Kilburn Ironworks”, a “prime eating and drinking establishment” (I think that means “bar/restaurant”). Chinese/Thai restaurant Paya closed, then installed an enormous wood-fired oven and reopene as Poco Pizza, but still offered the Paya menu for both eat-in and take-out. How long it can last offering two cuisines is unclear. Bon Express begat Pizzeria Naila begat Adam’s Grill of the flashing sign. Adam’s Grill rather nicely laid on a free taster evening recently, suggesting it’s serious about staying in the area, but it’ll have to work hard to compete with the permanently busy West End Charcoal Grill. Over in the O2 centre, we began the year being promised a host of new tenants, but only Byron, BoConcept and Tiger have yet materialised. It’s not clear what’s happened to Wagamama and Rossopomodoro is now slated to be a Frankie & Benny’s.